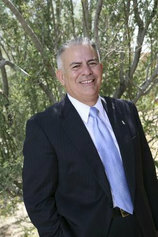 Ronnie Lopez has been chair of Phoenix International Consultants, Inc. (PIC) since 1988. During his long, storied career, Ronnie has been chief of staff and executive assistant to Governor Bruce Babbitt, president and CEO of Chicanos Por La Causa, an elected Justice of the Peace for west Phoenix, and a field representative for the Arizona Civil Rights Commission. Voted in 2006 to the Valle Del Sol’s Profiles of Success Hall of Fame, Ronnie was included in Hispanic Business Magazine’s “100 Most Influential Hispanics.” He was selected Executive of the Year in 1999 by the Arizona Hispanic Chamber of Commerce, and he was also featured in the 2008 book, Building the Latino Future: Success Stories for the Next Generation. The Maricopa Community Colleges Foundation created The Ronnie Lopez Leading with Heart Award in 2008 to honor individuals who have demonstrated the same selfless and passionate commitment that Ronnie has for the Maricopa Community Colleges. At the same time the Maricopa Community Colleges Foundation established the Ronnie Lopez Scholarship Endowment, which provides scholarships to graduates of the colleges’ ACE (Achieving a College Education) programs who continue their education at one of the Maricopa Community Colleges. Over 550 people attended this tribute dinner on April 13, 2011. The event raised over to $200,000 in scholarship funds to support the Maricopa ACE – Achieving a College Education – Programs, Chicanos Por La Causa (CPLC) matching scholarship fund and the general scholarship fund.